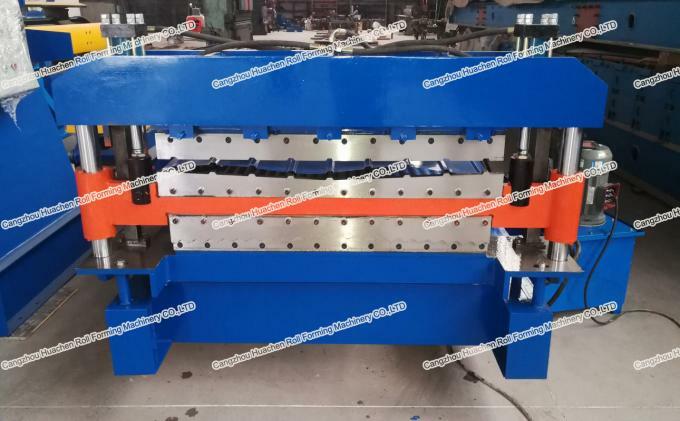 The TR8-14 double layer roll forming machine combines the two models very well, with reasonable structure and beautiful appearance. With the characteristics of space saving and simple operation, it is especially suitable for small site and site construction. 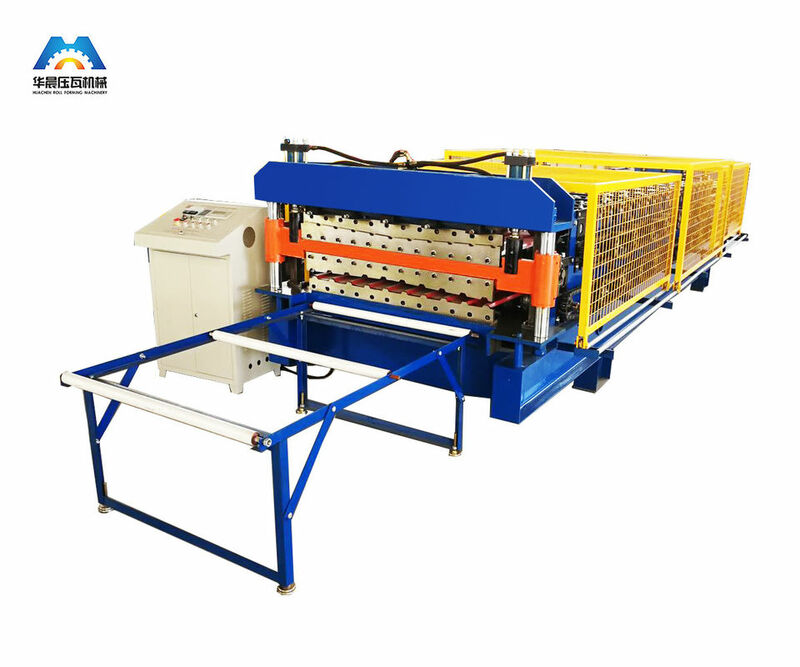 The TR8-14 double layer roll forming machine is mainly composed of feeding and leading-in platform, forming host, shaping and cutting device, hydraulic station, computer control system and so on. The operation of the upper and lower layers is simple. Only the conversion button on the electric control cabinet can be used to control each layer respectively. The power can also be used to control each layer separately through the clutch. Optional equipment has ordinary feeding machine, hydraulic feeding machine. The rotation mode of the double layer tile press of model 860/900 has high accuracy. The upper mold system and the lower mold system are respectively equipped with a set of worm gear and worm drive organization fixed on the scissor frame, which is driven by a pair of synchronous motors. The upper and lower models are subject to customer requirements. 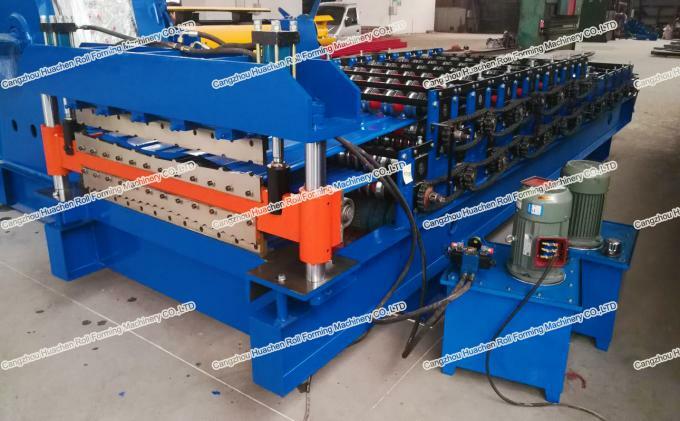 TR8-14 double layer roll forming machine adopt new double layer design, dual use, small occupation, convenient transportation, double layer cost much less than two single layer machine, is the user. 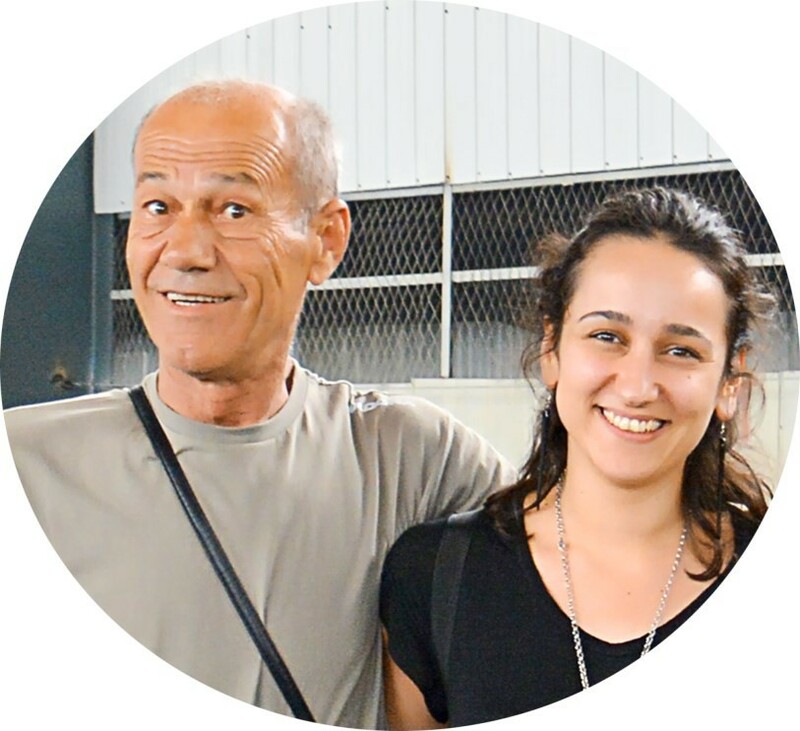 The after-sale service of our factory is perfect, and we can design and manufacture according to the user's requirement, and guide the user to manufacture, install, debug and maintain. 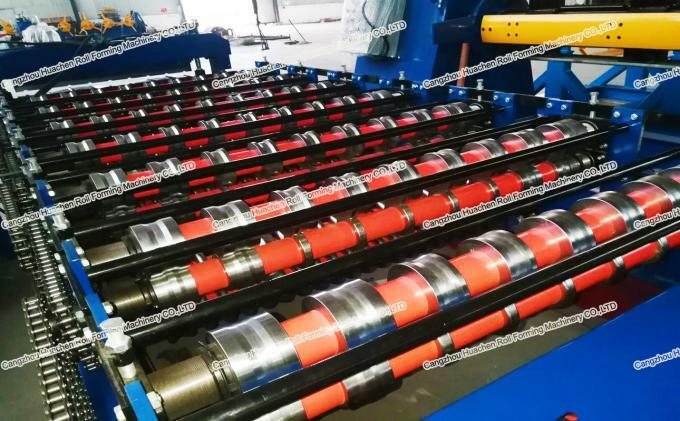 In order to get used to the two layers of the double material of the product, TR8-14 double layer roll forming machine has two layers of height. The disposal of the end product behind the cutoff mold should be equipped with up and down adjustment, so as to get used to the outlet height of these two plates. To satisfied in the limited area of the requirements of forming two section, can quickly change the commodity, tile press double mill (double layer roll forming machine, double integration equipment) has also been made, the double layer roll forming machine is change between high and low frame, produce a kind of summary color steel installed on the lower frame, produce another kind of plate type roll installed in high rack above, production line has a decoiler, a block press, if the color plate feeding lower roll, forming a plate type, such as material feeding top roller, and forming another section .